We Sell & Rent a variety of cme drill rigs to meet your needs! 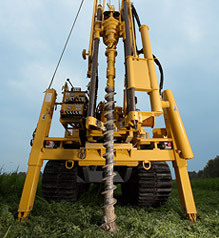 The CME 45 drill is smallest CME drill model and weighs less than 26,000 lbs. which does not require special permitting for transport. 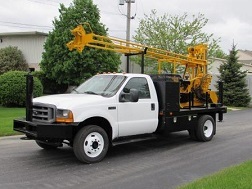 This particular model can accommodate both truck or track skid mounts for increased versatility. 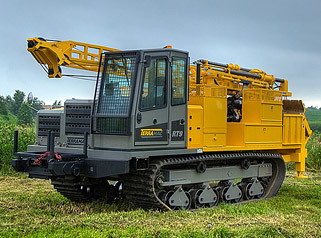 Over the years, CME has adjusted the design and updated drive systems of the 45 drill to improve end user operation so various versions of the CME 45 drill rig will surface including the CME 45B and CME 45C. Retract force – 19,600 lbs. Down pressure – 13,650 lbs. Torque – 4,815 ft. lbs. The CME 55 drill rig provides maximum efficiency for mid-sized geotechnical and environmental drilling jobs. This is an excellent drill option for those looking to research soil structure in rural areas. The CME 55 can be mounted to various styles of trucks or crawler carriers, and can be offered under different name variances based on the selected mount such as, CME 550 or CME 550X. Retract force – 28,275 lbs. Down pressure – 18,650 lbs. Torque – 7,700 ft. lbs. 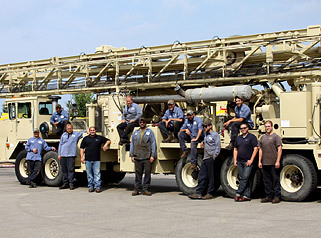 The CME 75 drill rig is one of CME’s larger drill rigs. 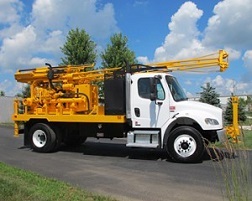 This unit is known for conquering larger jobs requiring deeper drilling depths or bigger augers. 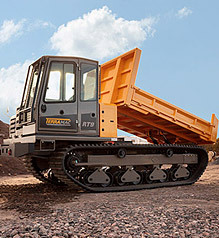 The CME 75 can be truck or track mounted, and also gives the option for enhancing rotation and power. 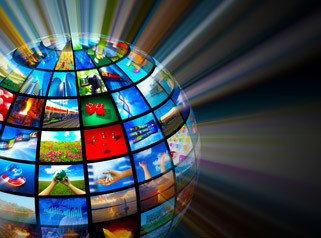 Common variances of the CME 75 include: CME 75HT, CME 750 and CME 750X. Retract force – 30,000 lbs. Down pressure – 20,000 lbs. Torque – 10,230 ft. lbs. For more information on our CME drill rig sales or rental selection browse our online showrooms, or give us a call at 630.365.1649. 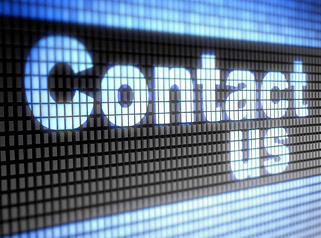 If it’s not in stock, we’ll help you find it!